Getting excited about the upcoming showing of two films I directed for Wisdom of the Elders about Oregon Native People and how climate change is affecting traditional foods, Monday October 13th, 7-9pm at OMSI, 1945 SE Water Ave, Portland, Oregon 97214. 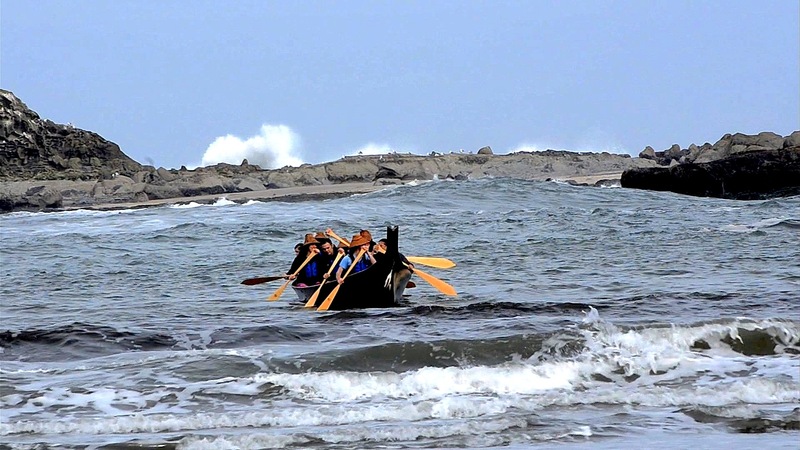 Coos and Coquille boatman try out a traditional canoe, Sunset Bay, Oregon. Come on out and enjoy a look at Oregon’s Coastal and Interior Tribes and some of the great things their doing in habitat and species restoration to benefit all of us. Here’s a link to the Facebook event.